Originally from the Philippines, Georgina brings her Filipino heritage and experience in leadership development and talent management in the NZ public service to NZAL. For the past 3 years, Georgina has been working in the State Services Commission where she is part of the team that aims to set the foundation for a future where there is a strong pool of leaders and a credible leadership pipeline for State services agencies. Georgina is also the Co-convenor of the Institute of Public Administration New Zealand (IPANZ) New Professionals’ leadership team. She is also a Board member of IPANZ. 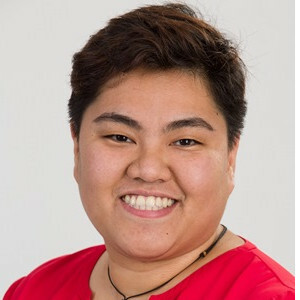 Georgina has established networks with the Filipino community in New Zealand, as well as organisations that conduct business in the Philippines. She holds degrees in Psychology and Sociology, and has strong interests in leadership and people capability, science and technology, ICT, and innovation.